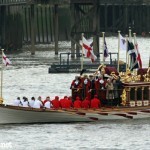 ON a grey, wet Saturday morning last weekend, Lord Mayor's Day began with a Golden Sunrise on the Thames. 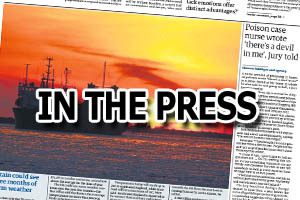 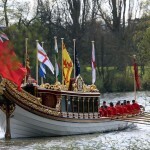 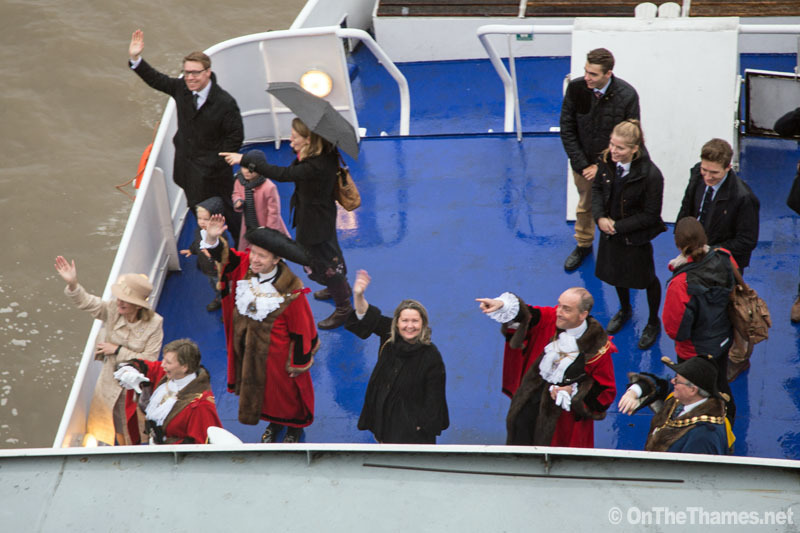 New Lord Mayor Jeffrey Mountevans boarded the CPBS party boat vessel Golden Sunrise after bad weather conditions put paid to the Queen's row barge Gloriana playing her usual role in the Thames flotilla. 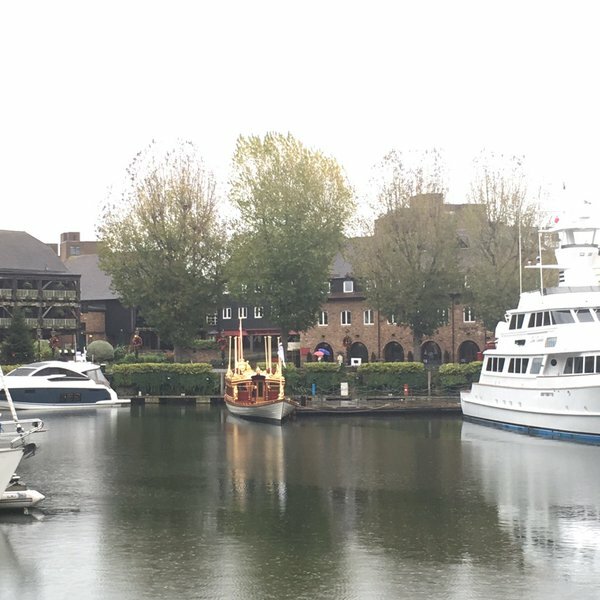 Strong winds on the preceding day meant it had not been possible to safely get Gloriana out of St Katherine Docks so it was Golden Sunrise that had the honour of carrying City's new mayor from Westminster Boating Base down the river to HMS President. 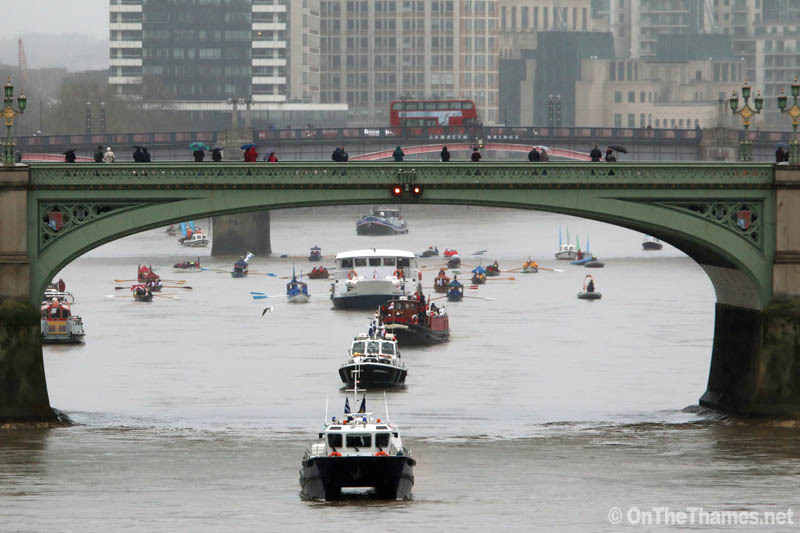 While Gloriana was absent, the recently-revived tradition of a flotilla of Thames craft made for a colourful spectacle on an otherwise miserable morning. 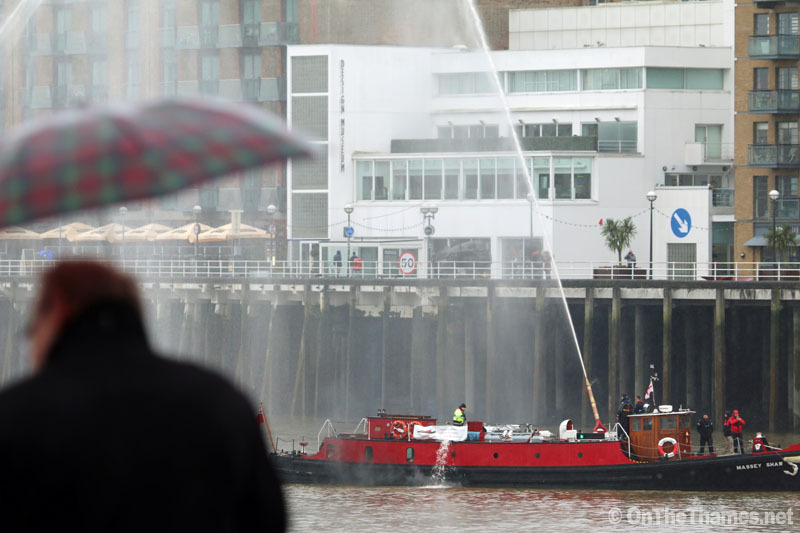 The traditional Thames cutters were joined in the procession by the classic fireboat Massey Shaw and her modern counterpart Fire Flash, with three RNLI lifeboats bringing up the rear. 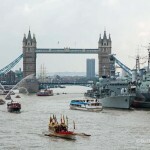 After coming ashore at the Royal Naval Reserve base HMS President in Wapping, the Lord Mayor moved on to the City where the Lord Mayor's show snaked throughout the Square Mile's streets that afternoon. 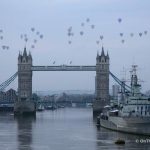 The usual fireworks were cancelled as a mark of respect following the atrocity in Paris the night before while Tower Bridge was illuminated in the colours of the French Tricolor. 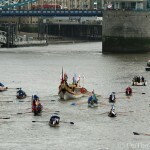 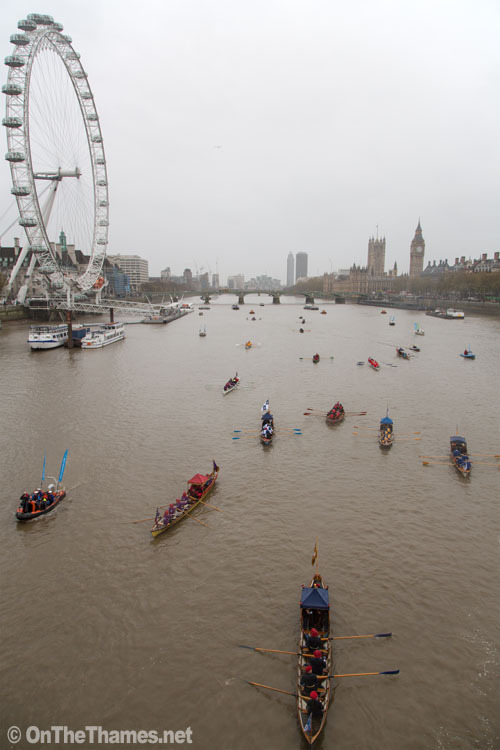 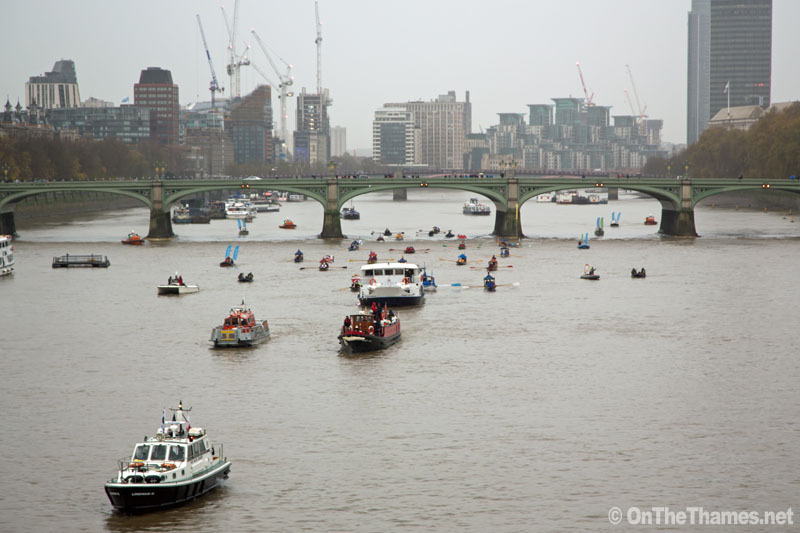 A photo from last year's Lord Mayor's flotilla appears in the On The Thames 2016 photo calendar.